Summary: Looks like Zynga really needs more growth in their games and has started to have more quests to ‘invite’ non playing friends. 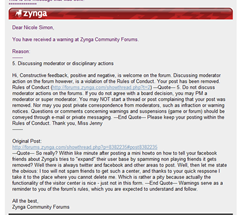 These are pushed rather aggressively but what is even more surprising – and reason for this entry – is the fact that the forums are really monitored closely on as it seems anything ‘none too pleasing’. 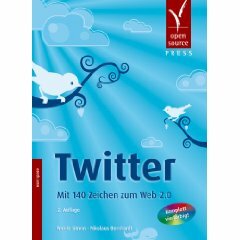 Even if you don’t usually play, it is worth looking at this kind of company and behavior in combination on how Facebook works to see a glimpse of the real power of social networks and what I call “normal people” as well as the dangers which successful games bring for Facebook’s power of the friends network. 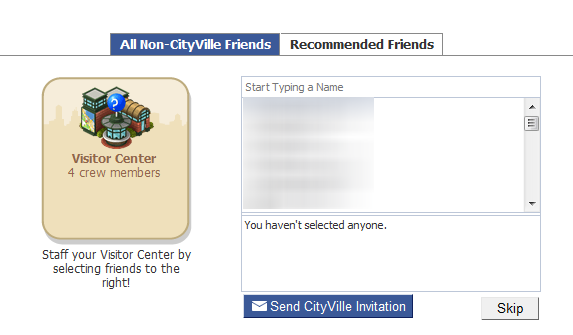 As some will know, I have recently taken up playing Cityville. I never got into games like this, but it seems with the combination of your real friends, online and casual gaming this is working for me. And if you tell me “but it is just a waste of time!” let me disagree with you: Since starting to play CV I finally get the advertisement experience on Facebook others probably have had for a while. Up until now I would see nearly nothing, but as a women in my age bracket who started playing a game like that? 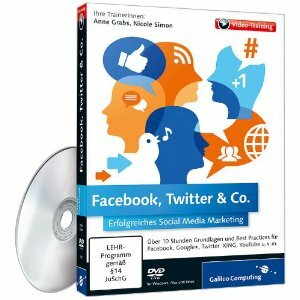 *Boom* I now got all the advertisement I need for my slides on how to work with Facebook and Social Media in general. Which is not what they bargained for, but that is another story. Cityville, like most of the games, relies on you having a plot of land where you can work and play. It only is fun if you have neighbors and if you share everything onto your feed. Which is considered by many as spamming (I agree) but the game is not just playable and even more important not as fun as if you can use your friends and the news feed. Having looked into some of the other games, at least Zynga offers me some choice in how to deal with these invites for quests and gifts etc. : mail all friends or just game friends. There used to be the option (probably for quicker getting friends in) active Zynga players (assuming they are more likely to try this out which is true) and Farmville friends. That kinda works out okay. Most people learn very quickly that you do not spam your non playing friends and Facebook has banned all the gaming stuff into a separate tab from the news feed. If you play these games, you want to use all the sharing options for advancement in the game and game fun. Which is exactly why most non players have blocked those apps: it is annoying as hell. Even I as the player don’t want to spam my profile with it but at the same time want to use the game as it is meant to be. In essence, we need a gaming tab for our Facebook profile to deal with that. I for example have to force myself not to post these because I do want my profile to be ‘nice’ to read. It also poses threats for Facebook in a way that complete strangers accept friend request not because they know them – but just because they need them in the game. Suddenly active friends (the ones with a lot of likes because of our behavior) are not at all friends. For example it is absolutely common to click like on one of those game entries to say “thank you” or comment on it if the rewards are out. Take into account how Facebook tries to calculate the Edge Rank and News Feed Optimization and you might see where the challenge for Facebook is. 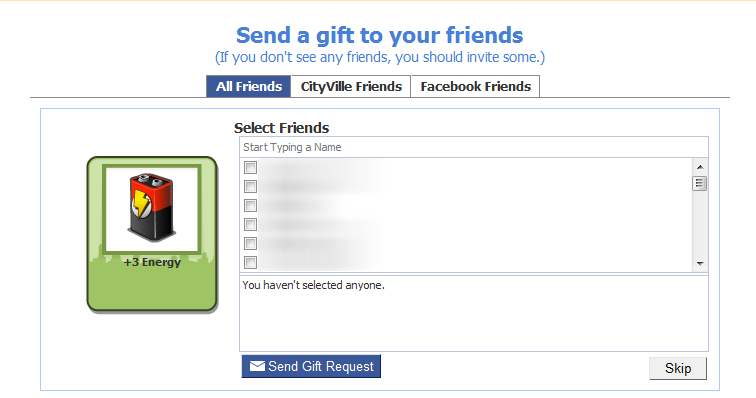 Being banned out of the news feed, they try to get your more to send your friends invites. I think around Christmas they tried a “adopt a puppy” trick, where you could invite your friends for a bonus, but that was just something you could dismiss because it has no relevant in game value. 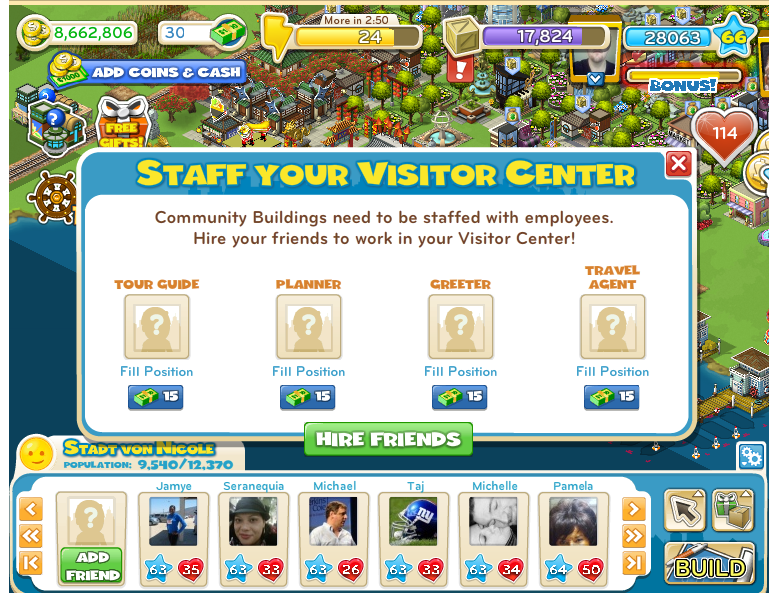 The latest in this is the so called Visitor Center which requires you to invite 4 not playing friends. 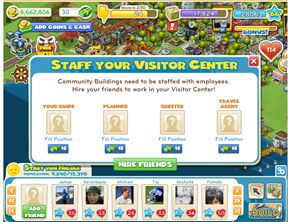 Inviting neighbors has been seen before: if you do not have x neighbors to invite as staff of your community building then you cannot finish it. The hard difference now is: it has to be a ‘fresh player’ and this time it is something people would want to have. 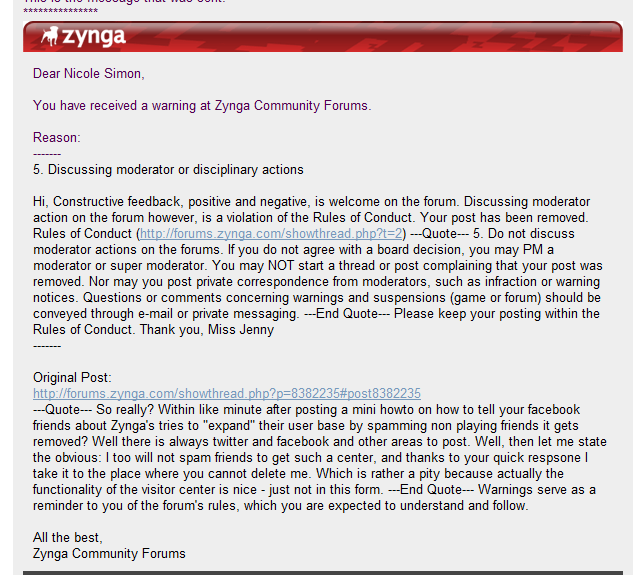 People are really not happy about as you can see here in the official forum. Within hours of posting the “what do you think of it” I pretty much see 70 pages of people not liking it and that is just the one single forum. If you look closer, it is not really so much about having to invite 4 friends (and make that work) but the way it is pushed onto the players. Amazing: Within nearly a minute my first posting got deleted by the moderators, as well as my second posting. I can agree on them having house rules on what they accept there and what not but I have to ask myself, if they delete so quickly and there are already over 70 pages in unhappy comments, how much more did they delete? Even with only being online for probably 2-3 minutes I get friend request from somebody who said they got deleted too and several other comments indicate similar treatment. (the rest is also worth a look). As in “don’t let anybody know that we actually work the forums to have them the way we want”. As I said, I understand where these kind of TOS etc. come from and why they are in place. And of course why they want to ‘encourage’ users to get others into the game. But there are different ways to do so – and one thing companies should have learned: If you push, people will just find another way to deal with it, even the non savy ones. And here is always more than one place to voice the opinion.